I recently zeroed in on a clause in Second Life’s Terms of Service which, if enforced, renders all patents — even pre-existing ones — functionally worthless against Second Life infringers. You also understand and agree that … you automatically grant … to Linden Lab and to all other users … a non-exclusive, worldwide, fully paid-up, transferable, irrevocable, royalty-free and perpetual License, under any and all patent rights you may have or obtain with respect to your Content. You further agree that you will not make any claims against Linden Lab or against other users of the Service based on any allegations that any activities by either of the foregoing within the Service infringe your (or anyone else’s) patent rights. Break that down. The first provision says that you agree that Linden Lab, as well as every user of Second Life, gets an automatic license to any patent you are granted on anything you invent in the virtual world. If this is enforced, then there is no reason to seek a patent on anything invented in Second Life. Millions of people and business, including Linden Lab, would have free licenses. That’s a very big deal. A patent gives you the exclusive right to sell or license products that use your invention for a period of time (20 years in the US). Of all the IP rights companies hoard, patent rights are typically considered the most important. That is particularly true for technology companies, the very companies that could be creating genuinely innovative virtual world content, but largely aren’t. By making patents on virtual world inventions useless, Linden Lab makes innovation in the virtual world far less appealing. The second provision says that by signing on to the service, you agree not to sue any other user, or Linden Lab, for infringing any of your patent rights for activity that takes place in Second Life. That’s a huge waiver. How does it play out? Take a well known example — TiVo. TiVo has patents on a few of the cooler aspects of TiVo technology, which is one reason TiVo digital video recorders (DVRs) are easier to use, and more expensive, than the awful ones cable companies give away for free. If TiVo sees Second Life as a space it wants to move in to — let’s say to sell virtual DVRs with its patented features for people to watch television on in-world — it functionally can’t. Because by simply logging in, TiVo agrees not to sue anyone who rips off their previously patented inventions and sells them in Second Life, including Linden Lab. In fact, just by logging in to investigate possible infringement, users theoretically give up their right to bring a claim for any infringement they find. I wonder if IBM got a side deal that voids this provision when it started holding meetings in Second Life, or if are they comfortable with the fact that they now have no ability to enforce any of their industry-leading 40,000 patents against Linden Lab or any Second Life user for in-world use. It has always seemed odd to me that mainstream technology companies aren’t producing virtual-world products or innovating in the space, and that they generally don’t even have Second Life presences — this could be a big part of the reason why. If you were Steve Jobs, would you even log in to Second Life if it meant completely waiving Apple’s right to sue Linden Lab or any Second Life user for infringing any Apple patents in the virtual world? I suspect many professors, inventors, and CEOs have taken a pass on creating new technology in Second Life — and indeed, even visiting — for this very reason. Given Linden Lab’s stated desire to allow users to protect their IP rights, this clause should be re-evaluated. Its elimination could only encourage innovation in the virtual world. That clause is undoubtedly a victory for those who, like I, believe that software patents are wrong in principle, and, far from encouraging innovation, suppress it by oppressing liberty: the freedom to innovate is infinitely more important than a power to stop other people from innovating, except on payment of a fee. I’m generally somewhat suspicious of software patents too (though I’m not opposed to them on principle) and I suspect you really hate business method patents (which I’m even more suspicious of, though again, not opposed to on principle). They both are clearly implicated here, and avoiding fights over them could be the reasoning behind for the clause. Even granting your premise though for the sake of argument, I find the clause overbroad. One question may clear it up – do you view everything that involves software as a software patent? Yes, it does seem odd that they have such a blanket statement on ALL patents considering the paragraphs just previous to these make such a point about you keeping all licenses and copyrights to your content and tying the LL permissions system to you “granting” LL and other users licenses to that content. The process or business method patents are the ones that I would think would be most applicable, though if you patented an electronic device that allowed a unique interaction in SL, it seems that could fall into this category as well, which does not seem right. Software patents a very very dubious in nature. This is actually a good thing as it means that people will be free to create whatever they want and to collaborate. The collaborative model of development (see open source) has proven to be much more effective at producing quality software than the proprietary one. I’m very glad that this clause is in the TOS. I know of some people who were threatened with patent actions on SL over some very trivial things. But if we give up our patent rights in creating something in SL, what’s the point of “owning our creations?” It makes FlipperPA Peregrine’s attempt to patent a process a useless exercise, except for the next platform to come out. I’m starting to notice that the hype does not match the practice when it comes to IP protection in SL. Which may be a result of people shifting their perceptions from strong protection to weak protection, taking the RIAA fall out as an example. Hmm. Well, I knew about this for some time, even wrote about it a few times as far as that goes. The context, as I recall, was related to IBM. the only legitimate use of patents is not to protect any given thing that “does X, Y and Z”, but to protect specific inventions that have a particular physical design. Many kinds of intellectual property that now exist are wholly unjustified (and sometimes quite extreme) oppressions of personal liberty (which notably infringe many people’s rights to do what they like with their physical property, which rights are fundamentally more important than intellectual property rights), and so successful attempts such as the clause to which your refer to make such oppression ineffective is a very great victory for liberty indeed. Worth a click to get a good overview of the differences between patent, trademark, and copyright, and how they play out in the Second Life TOS and the world itself. @9 Ashcroft – You’re advocating a pretty big change there. I do think some reform is needed, but I tend to focus on the granting of invalid patents as the problem, not the nature of patents themselves (at least in the U.S., they currently do protect much more than just the physical design of a machine — the “invention” is far broader than the “preferred embodiment.”) I think that is how it should be, and we appear to fundamentally disagree on this one, so there’s not a lot more to say — it’s essentially a first principle issue. Let me throw something out there. I’ve not formed a strong opinion on software patents. My initial instinct is… why not? But I’d love to hear from readers. Like I said, my initial instinct is: “Why not?” We didn’t prevent “wood patents” when everything was being done with wood, or electricity patents when we got the original “grid.” Now, everything is done with code. Why should you not be able to patent an invention that leverages this modern technology? Example: I come up with a new invention — a machine that paints a house perfectly with no human intervention, and with no drips on the grass. Why should I get a patent if I build that machine out of gears and levers and shiny brass buttons — so it looks like something from a Jules Verne novel — but not if I have the same measuring, moving, and painting executed by software that I write, compile, and upload to its memory? Is that what we’re talking about, or or we talking about somebody getting a patent on a video game or a word processor. And even there… why not? Why is a video game different than a pinball machine and word processing software different than a typewriter? I know a lot of readers feel strongly about this – so what are the strongest arguments against software patents? As I recall, TiVo have patents on stuff like watching a program while it’s still recording. This basically comes for free with fast enough hard disc based recording and suitable multitasking. (Of course, getting implementation details like fast-forward and end of file detection right is a bit more work, but they’re just that – details). In fact, I’d say that this feature was more or less inevitable once the technology required became available. However, because of the way the patent system works, the first person to get a patent in essentially got ownership of it for the next two decades. This is why some people are unhappy with the way the patent system works. @Jessica: I’m wondering how you know that? Have you seen the application that has been filed? It hasn’t been made public yet to my knowledge, and we haven’t made any press releases yet. We will when we, and our business plan, are ready for prime time. Until then, comments on my situation are purely speculative. While I agree there needs to be a lot of changes to the patent system, especially with regards to software (that debate is well known to most here), the rules of the game are what they are. In the past, I’ve twice been put in a very difficult business position due to very large companies getting patents of a very questionable nature. You have to protect yourself; I’ve witnessed it first hand. Aidan: indeed. The reason that software patents are severely problematic is that it is grossly oppressive of innovation. If organisation A has a patent over technology X, organisation A will have a specific deployment of technology X in, say, product Q. But product Q may be a vastly suboptimal implementation of technology X; in fact, products P and R, made by organisation B, may be a vastly superior implementation of technology X. However, if technology X is patented, P and R can only exist with A’s consent, which distorts competition: everybody is forced to use the inferior Q. Furthermore, if P and R are opensource products, the fundamental benefits of open-sourceness (which are extremely important), namely unfettered freedom of design, creation and exchange, are suppressed. An entire *kind* of software is taken out of the domain of opensource, especially where technology X is the only (or only sensible) way of doing something, as in Aidan’s example. However, there is a way for opensource projects to fight back. There ought be created an OpenSource Patent Institute that files for patents on as many opensource inventions as possible, and then grants a perpetual, royalty-free licence to everybody in the world to use those patented inventions in any opensource software. Any organisation wishing to use those inventions in a closed source project would have to pay royalties to the Institute, which would use that money to finance the filing of new patents. Additionally, any organisation with its own software patents that wished to licence any of the Institute’s technology, would, in addition to having to pay the licence fees for non-opensource use, have to grant the same perpetual, irrevocable, royalty-free licence to the whole world for all opensource uses for all of its patents before the licence would be granted. That is one useful means of helping to defeat the menace that is the software patent (rejected recently by the EU Parliament, on principle); another such way is the ingenious ToS in SecondLife. Sorry if that came out as accusatory as opposed to documentary. Your application is the only patent application publically discussed using anything related to the Second Life platform. The point was closer to “why patent anything using SL if anyone can use the technology or method patented without paying for a license.” Let’s say that you patent your method. According to the ToS, I already have a license to use your patented invention in SL. The only value to that patent would be if it works on There or if it works on HiPiPiHI. If it only works via LSL, then there’s no point in selling a license to use on SL if there is a free license already. Sure there’s a First to Invent value, but there is no exploitive value in regards to the SL platform. Of course, that all depends on this provision standing up in court, which is not likely in my opinion. Has anyone asked Linden Labs whether they truly indended this clause in the TOS, or whether an overzealous lawyer put it in by accident? Might be that LL simply made an error in the published TOS, which should be pointed out to them so they can correct it. This patent clause seems to go squarely against the stated philosophy of LL that residents should create content and should own the content they create. It also seems to be at odds with todays post, Fumble #2: “The contract says it’s not money, so the law doesn’t apply!” in “Commentary: Top Five Virtual Law Analysis Fumbles”. Patent law is an old and pretty much universal concept, and although it might be technically argued that ppl might agree to give up such rights in a TOS or other contract, there would have to be other tests involved, such as whether the contract was understood and whether value was given for concessions received, again especially in light of the other statements LL makes about creators being the owners of the content they create. So in “reality” it may not be so easy to say that creators give up patent rights by signing a TOS that contains an easy to overlook, not discussed, hard to understand, obscure clause. Any more than if i sent you a check in the mail and you take it to the bank and deposit it without reading the fine print which says “by cashing this check you agree to gift all your possessions to Mego Ryba”. Mego – you’re absolutely right regarding the fact that this might well be unenforceable. People can definitely contract away their rights to their intellectual property (and the terminology here is right, users give Linden Lab, and everyone else, a “license”) but there are a half-dozen arguments, starting with Bragg’s unconscionability argument, that it should not be enforced. If anybody has a big hit with anything they patent (and there are dozens of patent applications on virtual world inventions making their way through the system right now) there will be a monster of a lawsuit about this. As to the question, Linden Lab has a big enough legal team at this point that I have to believe this clause is in there on purpose. It seems to me that it is trivially simple to work around SL’s terms requiring you to give up patent protection. Most patents are held by corporations (and if yours isn’t create a corporation to hold it). Then when you log in to SL, you don’t own any patents to grant permission for. Corporations can’t log on to SL, so they aren’t bound by the terms. The individuals who log on are bound, but they don’t own the rights to give up. @18 – it definitely wouldn’t work for “patents … you obtain” (later) because patents issue to inventors, not companies, and are then reassigned, but it might work as a defense in a claim for patents you owned coming in. I’m not sure though — people commit their corporation to agreements all the time. If I remember correctly, the line is fairly blurry and depends on the context (how high up in the organization the employee is, whether it would be clear they were agreeing on behalf of the corporation in context, ect.) In SL, I’d be particularly worried about big operations like IBM’s, for example, where IBM itself has a number of islands that are owned by the company and people regularly log in in their official capacity as IBM employees. Seems to me you could probably find some way to shield it — have them held by a company in which you are a major shareholder, but not a director, or something like that. But in any case, if I were an owner of a patent I thought I might want to enforce within SL, I would simply never sign up, so the ToS wouldn’t apply. I’d definitely be concerned if I were IBM — didn’t anyone read the ToS before they dove in? @11 – Ben, I’m not sure you are aware of the following or not, but the largest opposition to software patents comes from institutional software developers (particularly Microsoft) which are afraid of getting sued by what they call “patent trolls”. 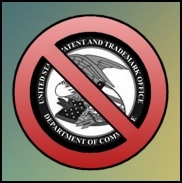 In short, they don’t like to see small inventors having the capability of enforcing their patent rights against one of their successful commercial products. There is no reason to treat a software patent any differently than any other type of patent. Software basically turns a general purpose computing machine into an instance of a special purpose device. Think of the simple calculator that you can display on your PC by click of a few GUI buttons. How is that functionally different from a physical calculator device with a physical keypad? If the latter is worthy of a patent, why shouldn’t the former? US patent laws (and the US patent office) have fully recognized software as patentable subject matter so long as the computational algorithm when executed leads to a tangible result. (There is a recent US Supreme Court Case, however, that has somewhat weekend that notion). I believe open source software adequately addresses the concerns of those heart bleeds that feel everything should be freely shared. If that was the case, a large percentage of the progress in the arts and sciences would never take place. Finding novel solutions often require substantial investments in both time and money. Without protection afforded under patent laws, there would be little motivation to pursue the development of such solutions. I’d be very curious to know if IBM, Intel, Cisco, SAP, Aerospace Corp. and a number of other big players in the software industry who are active in Second Life know about the waiver clause in SL user contract. I am told that a court has found the Arbitration clause in SL’s user agreement unenforceable. Would the waiver clause be interpreted in a similar manner? . . . Finally, if anyone is aware of any litigation involving patent infringement in virtual worlds or video games (other than the Sony case for the vibrating mechanism) please drop me a line j@i-p-law.com. I have not been able to find anything other than cases related to trademark and copyright infringement. Thank you. @21 – What the PTO does not recognize too well is that a program for a calculator on a computer should not be patentable because there is already a physical calculator out there. When software simply approximates things that already exist to make them cheaper or easier to access, then nothing new has been invented, or put another way, the invention is obvious. The same thing applies with many types of things that could be patented in SL. Take a TIVO patent + SL, if you were to try and get a a patent on implementing that TIVO patent in SL, then it should not be allowed because it’s obvious. It should be obvious to anyone familiar with SL that you can do almost anything that exists in software or interactions with others in SL. The clause is overbroad though. I don’t think it would act on a company unless that company implemented their patented technology in SL, simply logging in would not trigger it. But it would insist that if you implemented patented technology in SL, you’re granting use of that patented technology to users of SL, whether in SL or not. I agree that the wholesale agreement not to sue someone, would likely be unenforceable. @14 Ashcroft, I think you misunderstand the fundamental nature of innovation with regard to patents. You’re viewing this situation from the wrong perspective. The fact that technology X is patented encourages others to focus their efforts to design around the technology, leading to creative technological advancements. Moreover, patents give patentees a source of revenue which enables them to expend more time, money, and effort in making further improvements to their invention. Our society greatly benefits from this. At a surface level, it may seem unfair to prohibit the free use of technology just because it is patented–however, the underlying justification of patent monopoly is that it promotes the progress of useful arts. As Ben said, the problem lies in the quality of the USPTO examination process and the issuance of low-quality or overbroad patents, not the nature of the patent itself. Though the system is not perfect (reform efforts have been ongoing in both Congress and the courts), the justification for patents is well-settled. Such an overbroad and mandatory license for all software inventions would obliterate software patents and most definitely discourage innovation. Who do you expect to make advancements in software? How will the inventors be compensated for the fair value of their inventions? Inventors need money to continue their research and experiments, and perhaps some are motivated by the monetary reward. Not only will most inventors be discouraged, smaller or individual inventors, who invent a fairly large percentage of the world’s most important inventions, will be prevented from inventing because they lack the resources. The bottom line is, nowadays, technological advancements cannot be made with brilliant minds alone–sufficient funding and motivation are also needed.